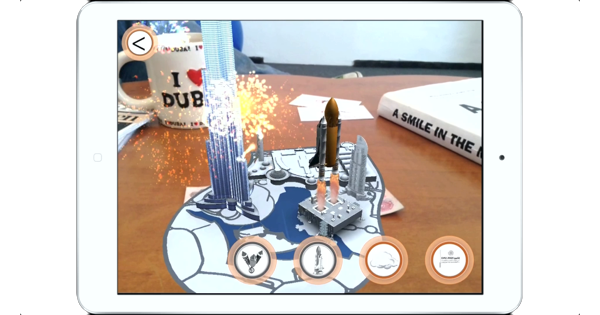 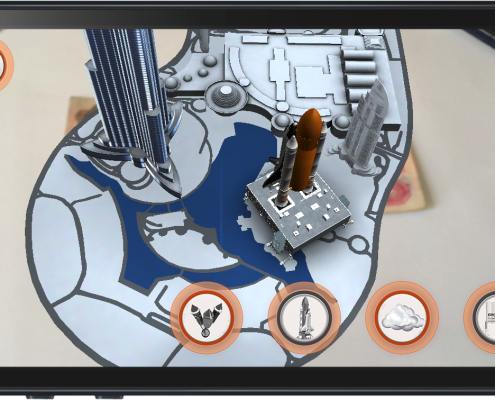 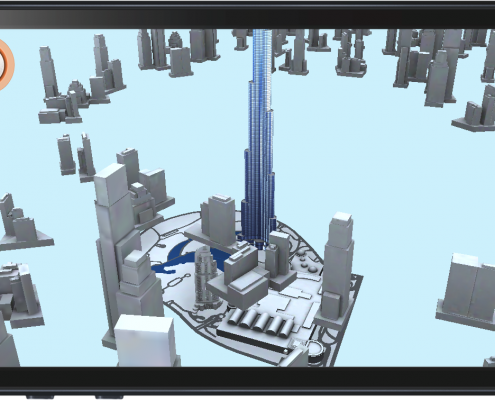 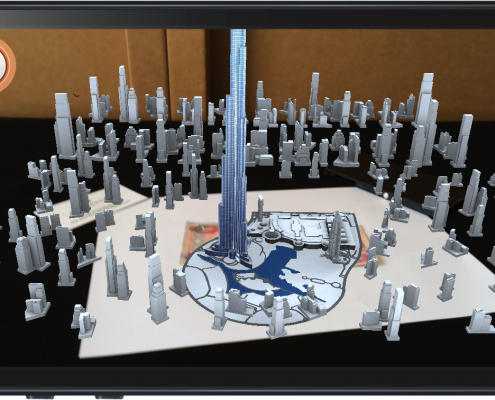 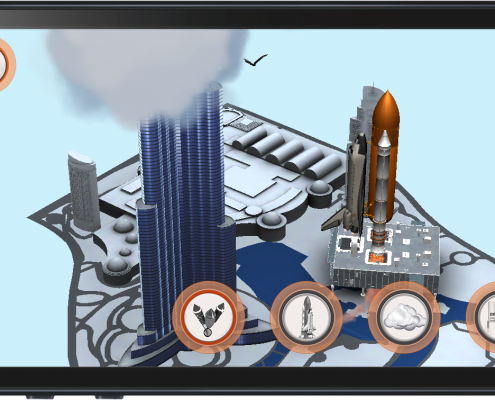 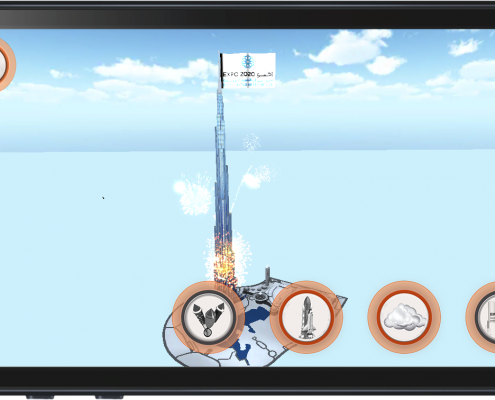 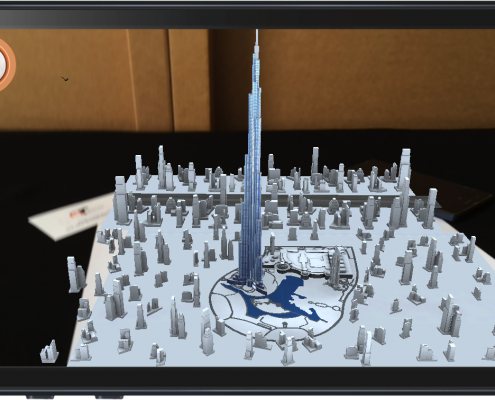 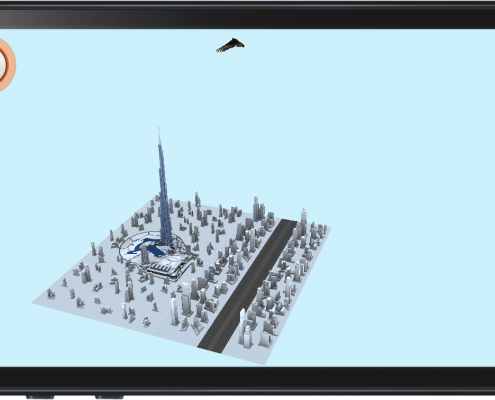 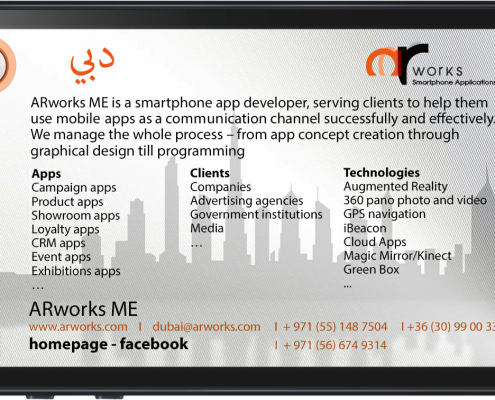 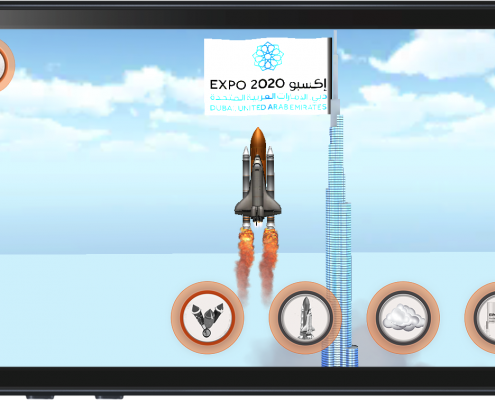 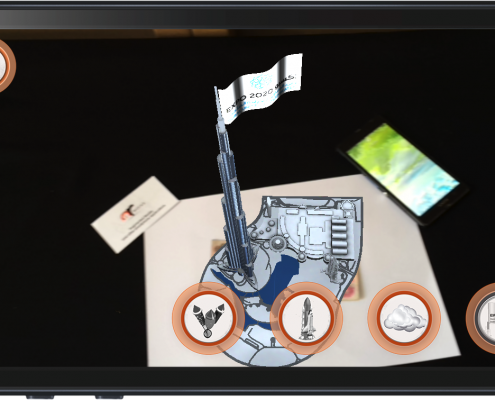 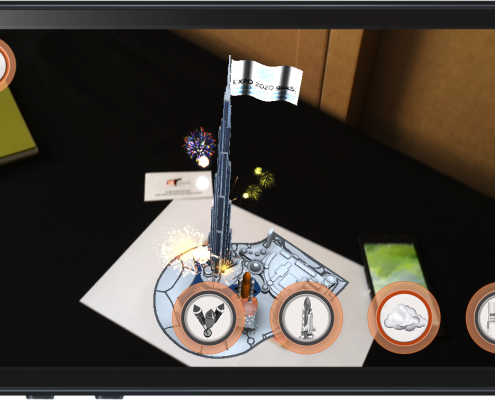 To demonstrate the possibilities of Augmented Reality (AR) we’ve designed and developed an app - ARworksME – which shows the quick history of Dubai in 3D. 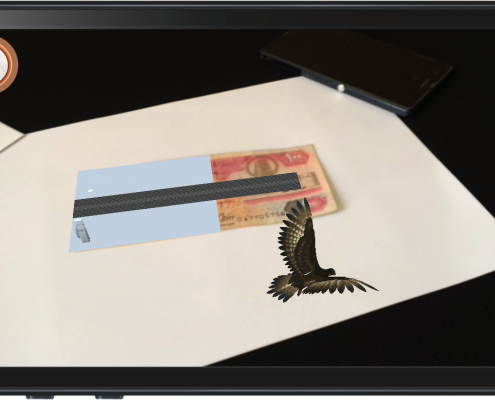 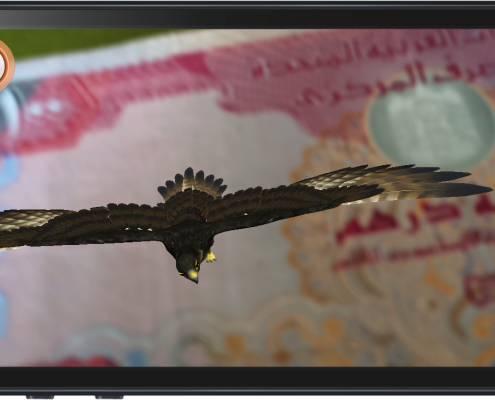 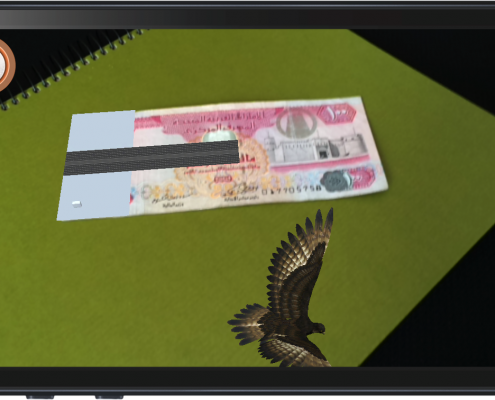 Since its an AR app, it does this on the 100 dirham note – and as a back up feature, users can see the content without the banknote as well, just purely in 3D. 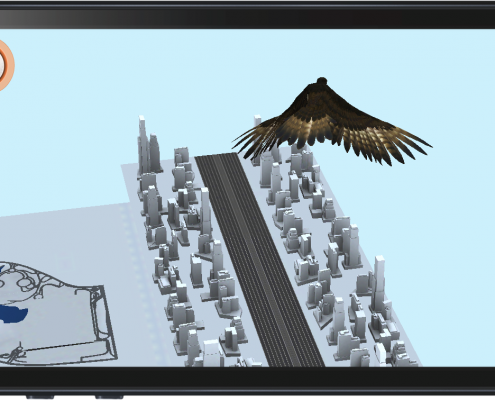 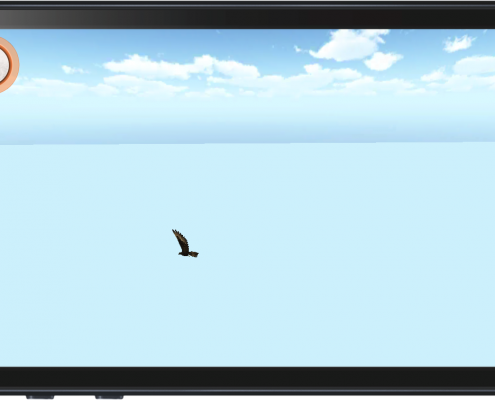 They also have the option to zoom in or rotate the animated model freely like they were flying over in their own jet.